Class dynamics can change at the most inopportune time. For some reason, it seems like all the rules and procedures fly out the window when the teacher is not feeling well, tired, or giving a big test. A change in weather, a new student added to your class, or several students who are feeling the symptoms of the latest virus will change your perfectly run class into a big mess. This is why you need, not only your procedures and rules that you use to manage your class, but a big toolbox full of tools to use when one of these inopportune times happen. Positive peer pressure can be a wonderful tool. Divide your class into teams. I copy the letters for the word “prize” off on different colored paper for each team. (see first picture) When I catch a team doing something extra good – turn in work quietly, everyone turned in homework, walked to lunch without running or talking, I turn over a letter. When all of the team’s letters are turned over, that team earns a prize. 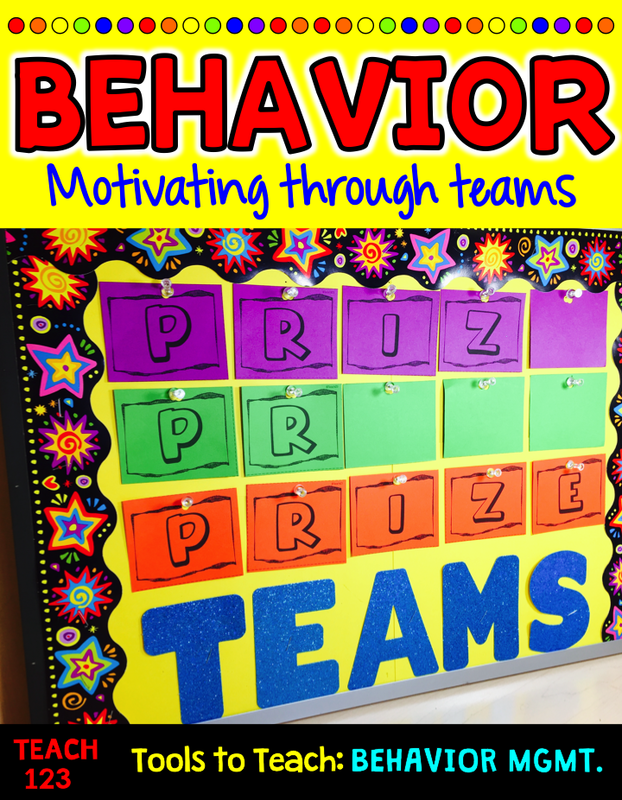 Prizes can be whatever you want: first to line up at the end of the day, use special school supplies, choose what the class plays at recess, or extra computer time. Do you remember watching Dr. Phil on the Oprah show? He would listen to people share their issues and then he would ask, “How is that working for you?”. I have asked that same question to myself on my drive home when I’m feeling frustrated that my class is not running as smoothly as it did in the past. One strategy I try to “go on the positive”. Yes, I may not be feeling very positive at the moment, in fact I might be feeling pretty stressed and tired of some of the ongoing behavior issues. This strategy has worked many times for me. I begin to look for who/which students ARE following the rules, working like they should. When my class is off track, it has never been 100%. It may feel like it, but it isn’t. So, I begin to reward the ones who are doing what I want and ignoring as much as possible the ones who aren’t. 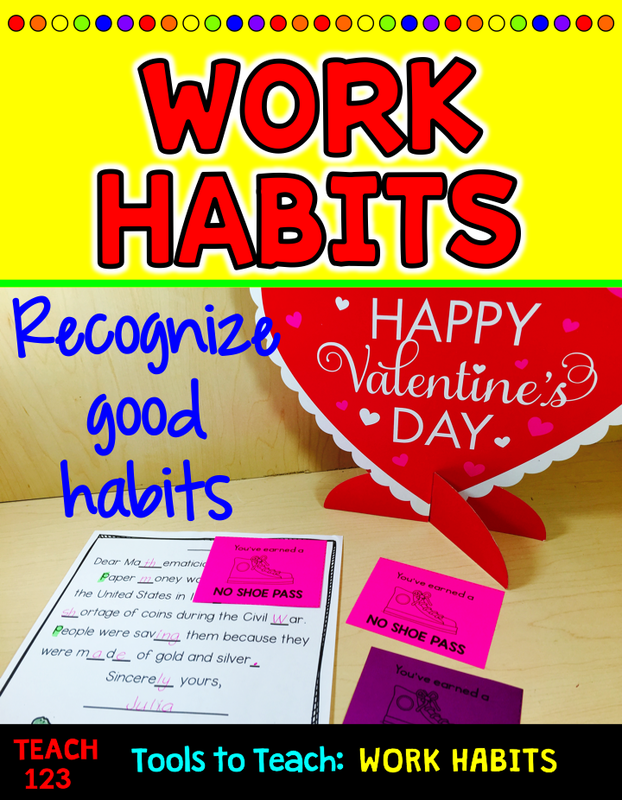 I reward them with praise, stickers, trips to the prize box, using special markers or gel pens. Whatever it is that motivates my class. In the picture above (2nd one) are happy notes. Sometimes make them into bracelets and other times I attach them to the loop on my student’s backpack. 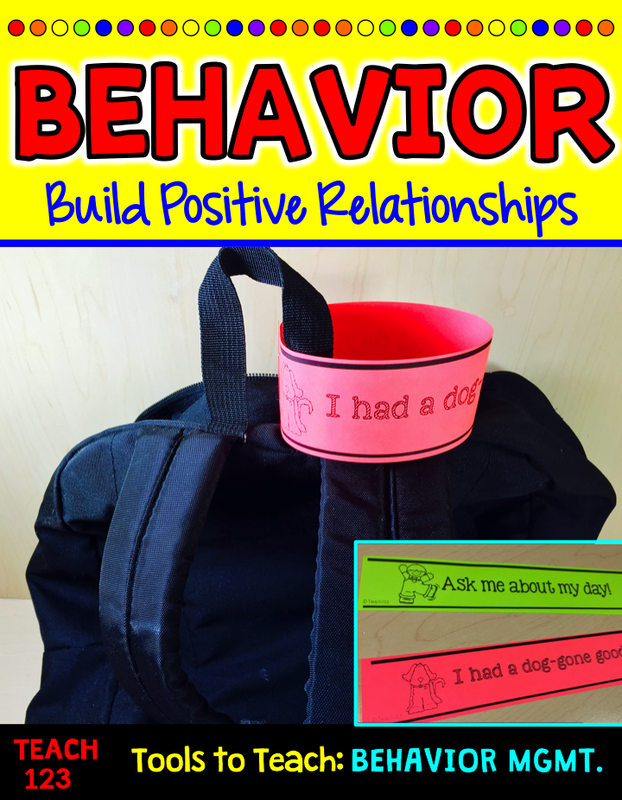 This is a great way to a build positive relationship with your student and parents. I found these wooden shapes at Hobby Lobby. At magnets on the back. 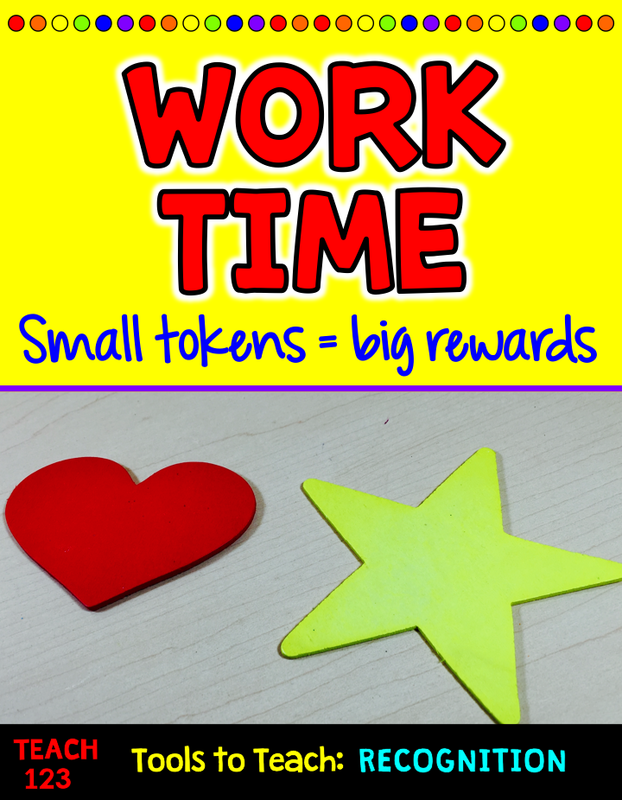 When you see someone being a special friend or doing all star work put, attach the magnetic shape on his/her desk. Your students will love the recognition. At the end at the day, students will put the shapes in the basket. If your class is turning in less-than-the-best quality work, it is time to show them examples of what you are looking for. In order to motivate your class, it is important to find something to praise in a wide range of students – not just the students who are your typical gold stars. Show a student’s assignment (on the document camera) who remembered to end all of his/her sentences with the correct punctuation mark. Show a writing assignment that is creative, an assignment with neat handwriting, an assignment that you can tell that the topic is something that the student is passionate about. If my school allows candy, I have stapled a lifesaver on the assignments that went above and beyond. If they don’t allow candy, I have attached happy notes like the one in the picture above. You will soon see your students working like busy bees. 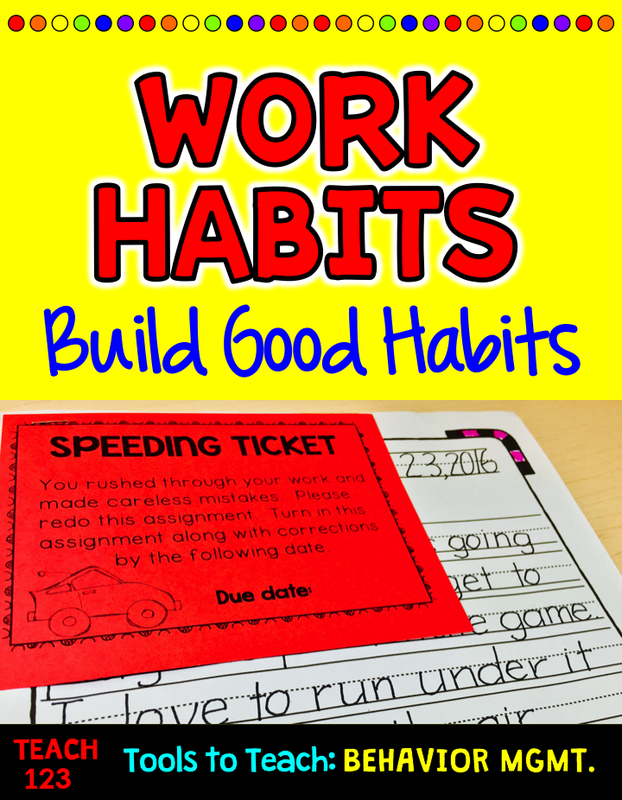 If the examples do not help, you may need to staple a “speeding ticket” on a few assignments. Usually just one or two of these is all that it takes to slow your student down. Have you tried a marble jar for a class incentive? 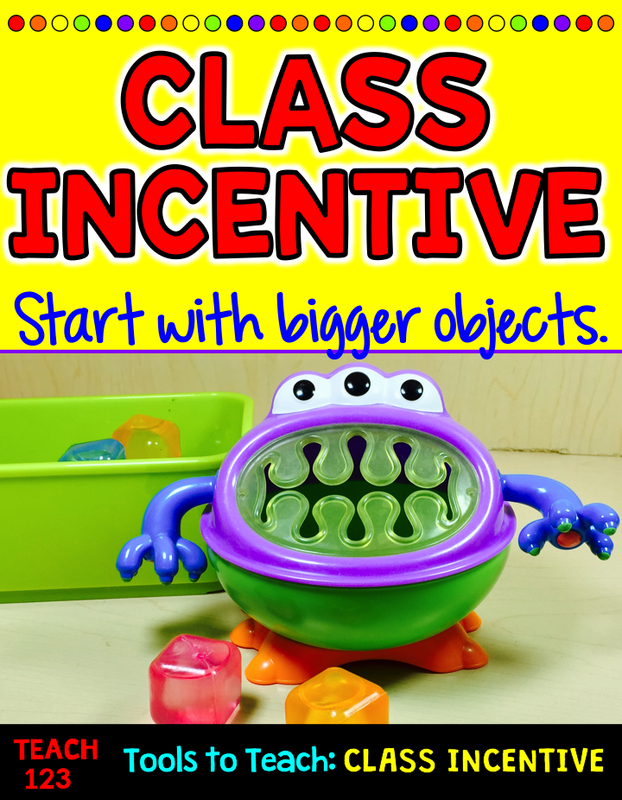 I love using class incentive for things like hallway behavior, recess behavior, and lunch behavior. Sometimes I have found that I need to try something new, though. I found this funny little monster guy at a thrift store. I usually start with a big object to put in the “jar/monster” because it takes fewer objects to fill it up. After my class earns a prize or two, I will begin to use smaller objects like BINGO chips. 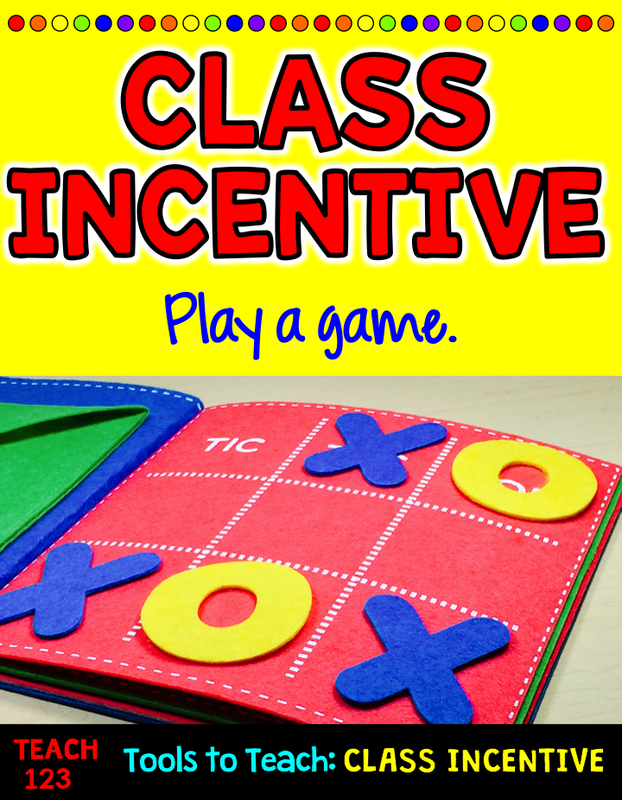 Playing a game is another fun class incentive. When your class can get ready at the end of the day within a certain amount of time, choose a student to make one move on the game. You will soon find your transitions are smoother, quieter, and quicker. If the positives haven’t worked, you may need to individualize your management with a few of your students. 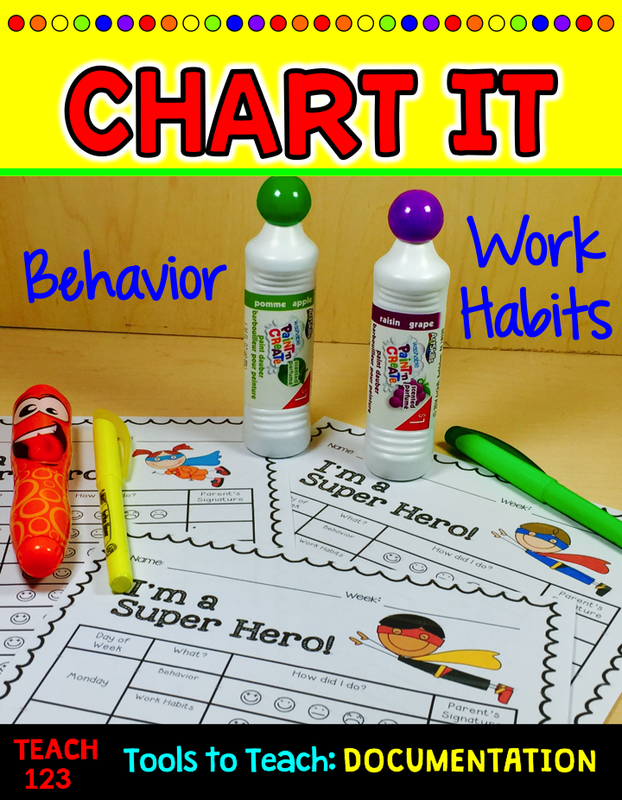 To keep your students engaged, change how your students mark their charts. You can use smelly BINGO markers, highlighters or Scentos markers. When I document, I like to color code my documentation. I think it is easier to find this way. The orange page is behavior documentation for R.T.I. or a student that may need to be tested in the future. The purple page is work habits documentation for R.T.I. or a student that may need to be tested in the future. The green page is class behavior. I like to change this color each month. 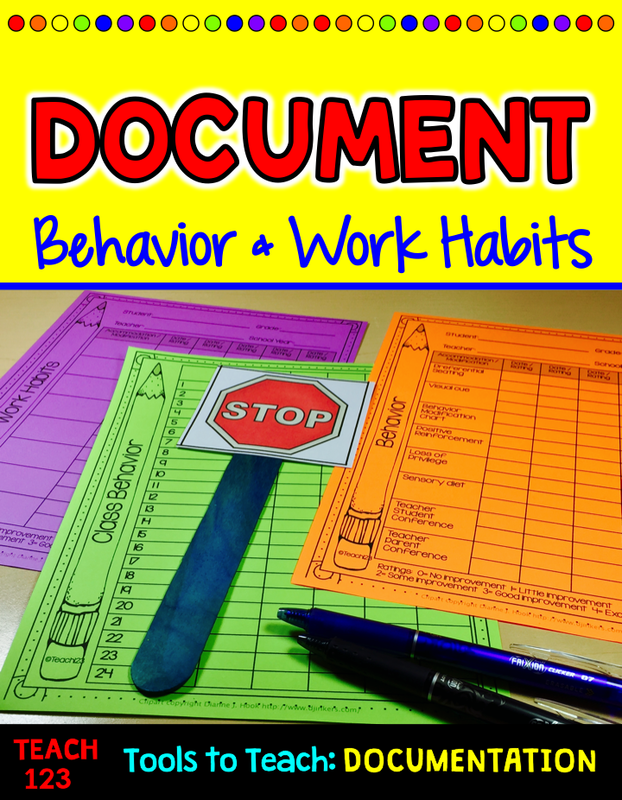 The charts and pages, plus more can be found in my Behavior 101 file.